When Gaetano Grossatesta moved to Naples in 1745, he already had behind him some 20 years of experience in northern Italy as a respected choreographer or direttore di ballo [dance]. (The term coreografo was not then in general use. 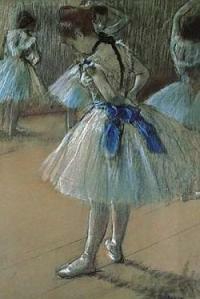 *note) He was well primed to take over the job of ballet director at the new San Carlo Theater. By the end of his life, some 30 years later, he had composed the dances (and music for those dances) for the first performances of about 100 operas in both northern Italy and in Naples and had collaborated with composers of distinction such as Vivaldi, Albinoni, Hasse and Gluck. Today he is almost totally forgotten. It’s hard to say why except that the passage of time and changing artistic tastes can conspire to make almost anyone obscure. (See the series on “Obscure Composers.”) Ballet, perhaps, has special problems in that it didn’t really exist as a separate art form until the early 1800s. Today, it makes sense to say “Let’s go to the ballet” or “opera” or “concert” because we see dance, melodrama, and symphonic music as separate disciplines. In the late 1600s, however, it made no sense at all because everything revolved around opera; opera was the vehicle within which instrumental music and dance were presented. There were not yet such things as “symphony number this” or “piano concerto number that.” And though there were social dances and court dances in Paris, the capital of early ballet, such dance was a long way from appearing separately on a stage for you to enjoy. Grossatesta’s career rose with opera seria (the name given to those operas from the 1600s and 1700s that were based on themes from Greek mythology and, thus, "serious") where dance often helped to move the plot along; his career faded with age and with the advent of Ballet d'action, a new ballet movement started by French choreographer Jean Georges Noverre in 1760, in which dancers expressed their character and emotion through their movements rather than through elaborate props and costumes—in other words, the beginning of modern ballet. After Grossatesta moved to Naples, the situation of ballet started to change for the better; that is, the librettos offered progressively more information on the dances, and these balli are often described in detail. It isn’t clear if Grossatesta composed the ballet parts of the opera that opened the San Carlo Theater on November 4, 1737, Achille in Sciro (with music by Domenico Sarro and libretto by Metastasio). San Carlo literature on the subject says that Grossatesta, indeed, directed the balli, but original program notes have not survived. It would have been plausible even though the date is some seven years before he moved to Naples; it was common for those in the theater to maintain working relationships throughout the Italian peninsula even without a unified nation. 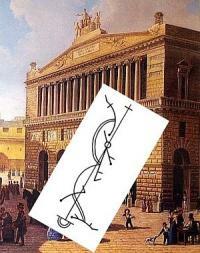 One source (Giordano), however, points out, that Grossatesta was verifiably not the choreographer for the second opera to appear at San Carlo; thus, in absence of proof, there is no reason to assume that he was there on opening night a few weeks earlier. In any event, Grossatesta was composer and director of balli for San Carlo from 1745 to 1752 and its impresario from 1753 to 1769. As a choreographer, he was an innovator, and as impresario, in general, he was always on the lookout for new talent, new composers, new operas. One who benefitted from Grossatesta’s willingness to give young composers a break was Niccolò Piccinni, who debuted at San Carlo with the opera Zenobia in 1756. Piccinni became the best-known Italian composer of opera for the next 20 years, that is, until Paisiello, Cimarosa and the generation of Mozart-competitors in Italy. In Naples, Grossatesta was also the Maestro di ballo delle Serenissimi Reali Infanti ("Dancing Master to the Most Serene Royal Children"). There seems to be no consensus as to why Grossatesta left a job that most persons of that era would have kept until death. It may have had to do with the working conditions. Under the intellectual and cultured Charles III—by all accounts, the classical “benevolent monarch”—the conditions were excellent: essentially, Here is a fine new theater; do what you will to make it a great one. When Charles abdicated to return to Spain, his minor son, Ferdinand, took over—the infamous Re Lazzarone (Beggar King). Again, by all (!) accounts, Ferdinand was a dunce and a lout. (One such account is here.) Grossatesta apparently had a good working relationship with the young king’s regent, Bernardo Tanucci, but the child monarch came of age in 1767. Ferdinand had no ear for music, but they say he liked the dancing parts enough to wake up in the royal box and follow them. Maybe that wasn’t enough for Grossatesta. Two years later, he left and disappeared so quietly that no one seems to know where he went or even exactly where or when he died. *note: The first to use the term "choreography" was Raoul-Auger Feuillet in 1700: “Chorégraphie, ou Art de décrire la dance par caractères, signes et figures démonstratives [Choreography, the art of describing dance through characters, signs and graphic symbols.] The author's name is remembered today in the name of the dance notation system, Beauchamp-Feuillet. —Croce, Benedetto. I teatri di Napoli. Secolo XV-XVIII. Naples. Pub. Pierro, 1891. —Giordano, Gloria and Jehanne Marchesi. "Gaetano Grossatesta, an Eighteenth-Century Italian Choreographer and Impresario, Part One The Dancer-Choreographer in Northern Italy," and "Part Two: The Choreographer-Impresario in Naples." In Dance Chronicle, Vol. 23, No. 1 (2000), pp. 1-28 and Vol. 23, No. 2 (2000), pp. 133-191 (respectively). Published by: Taylor & Francis, Ltd. London. —Smith, Marian. Ballet and Opera in the Age of 'Giselle'. Princeton Studies in Opera. Carolyn Abbate and Roger Parker, editors. Princeton University Press. 2000.